Smith has a staggering voice. Smoky, honeyed and so powerful it could hold its own against a Super Bowl-sized brass band, she moves through pop, funk, garage and soul with ease. 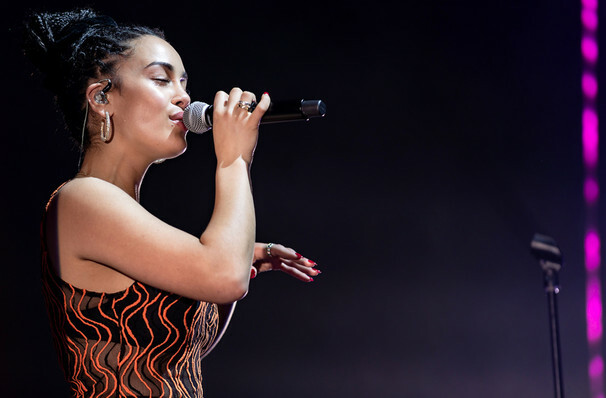 21 year-old singer songwriter Jorja Smith has enjoyed a stellar 2018 so far, having received the Brit Critic's Choice Award, collaborated with the likes of Stormzy, Drake and Kali Uchis and released her critically acclaimed debut album Lost & Found. Tying together R&B, soul and trip hop with her distinctive dulcet-toned vocals, the talented songstress examines the injustices, imbalances and tragic beauty of the world around her with intelligent lyrics and emotional performances. Born and raised in the UK's West Midlands, Smith has a confidence and strength of conviction that belies her young years. Her first ever track Blue Lights was written for a school project on post-colonialism in the UK grime scene, and showcased an inventive style of neo-soul that would soon herald great things. She's just as assured on stage as she is on record, enchanting her audiences with smooth, soulful, jazz-tinged cadences that wrap effortlessly around lilting melodies, calling to mind hints of Billie Holiday, Etta James and Amy Winehouse. Sound good to you? Share this page on social media and let your friends know about Jorja Smith at The Van Buren. Please note: The term The Van Buren and/or Jorja Smith as well as all associated graphics, logos, and/or other trademarks, tradenames or copyrights are the property of the The Van Buren and/or Jorja Smith and are used herein for factual descriptive purposes only. 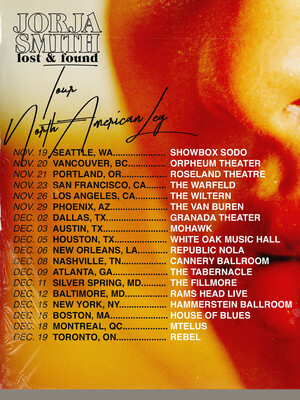 We are in no way associated with or authorized by the The Van Buren and/or Jorja Smith and neither that entity nor any of its affiliates have licensed or endorsed us to sell tickets, goods and or services in conjunction with their events.